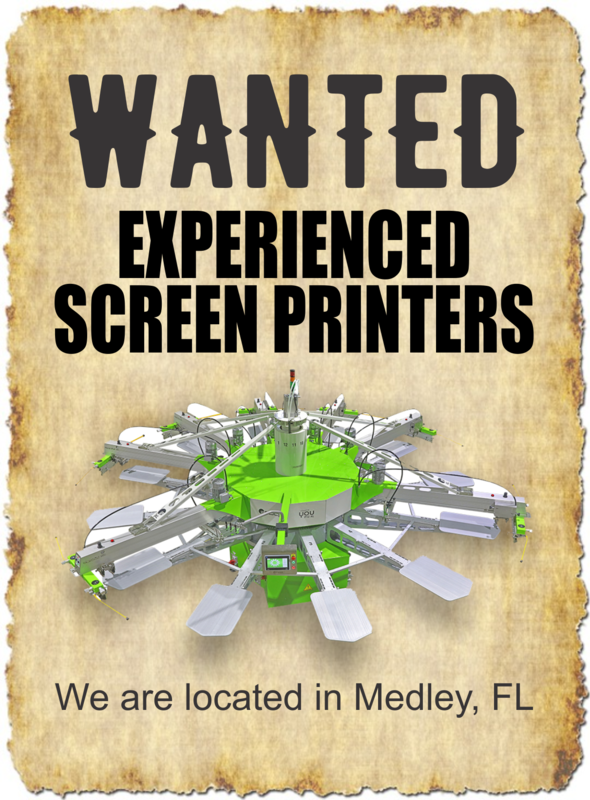 Currently looking for all levels of "EXPERIENCED" screen printers. We have 3 automatic presses and are looking to expand our staff. PAY SCALE IS 12.00 to 20.00 per hour for experienced screen printers. We are potentially willing to relocate qualified individuals to south florida. Send me a direct email with your info. where at in south Fa. In the description of the ad it says Medley / Hialeah area.